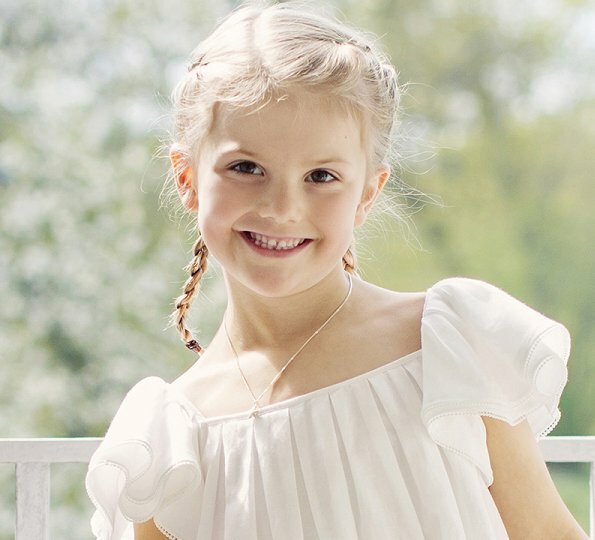 On July 22, Swedish Royal Court published new photos of Princess Estelle and Prince Oscar, gave with the message "Happy Midsummer" on its website. Photos have been taken by photographer Erika Gerdemark at Haga Palace. Midsummer, also known as St John's Day, is a special event that celebrates the arrival of summer in Scandinavia. Beautiful so amazing.💓💓💓💓I wish prins daniel and Crown princess Victoria was in the photo as well but adorable. 💗💗. Wow. Beauty. She looks like an angel in this white dress. Wow wow photos. Estelle is a beautiful and charming little girl. And Oscar is so cute! Lovely and cute! Oscar is starting to look like his father i think. They are just delightful little ones, especially with those expressive big brown eyes! Estelle's smile and happy spirit lifts every photo she is in. wat schattig , leuke kinderen!! Oh my! Could they be any cuter? Estelle seems always happy and Oscar is so sweet and serious. Parfait sur toute la ligne! J'adore! Why did they told Estelle to "pose" so much in the second picture? It is not necessary, she is so cute. The first picture is like a Carl Larsson-painting, just lovely Midsommar in Sweden. My Grandmother's Apron beautiful photographs of the Cambridge children as recent as 17 June with Trooping the Colour on the balcony of Buckingham. Those range of photographs were not posted on this blog. Estelle is ravishing, can't say the same for Oscar, ill-fitting outfit, the pants are too long and the jacket too serious for a baby. Lizzie, typical traditional swedish shirt on little Oscar! Cute. But maybe with short summer-pants and without shoes like his sister? She looks very pretty. I have never seen Oscar smiling yet. Beautiful ! Love little Oscar's serious look. Estelle on the other hand is all smiles ! 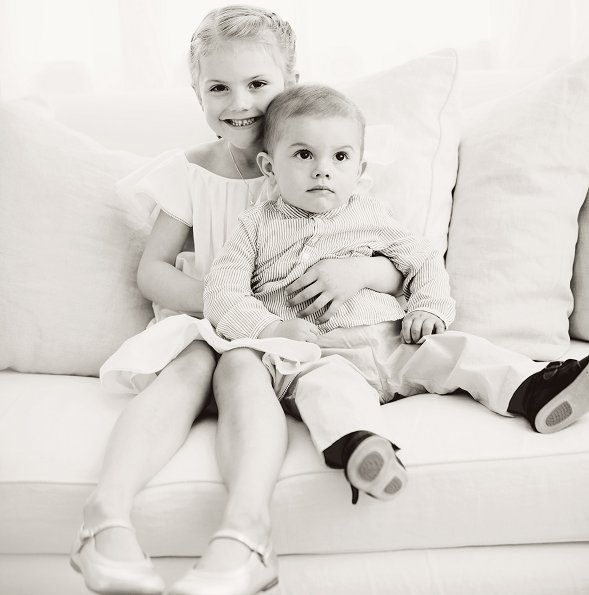 Gorgeous photos of two beautiful children. Estelle is such a delightful child. I am looking forward to watching little Oscar's personality develop. Estelle always has a smile and Oscar always looks so serious, bless him.